When Chinese company Angel of Dream (AOD) unveiled their new 90 cm. doll, the scale of the doll was hard to grasp…. Emory at Junkyspot gives us a peek at what 90 cm. of doll looks like! 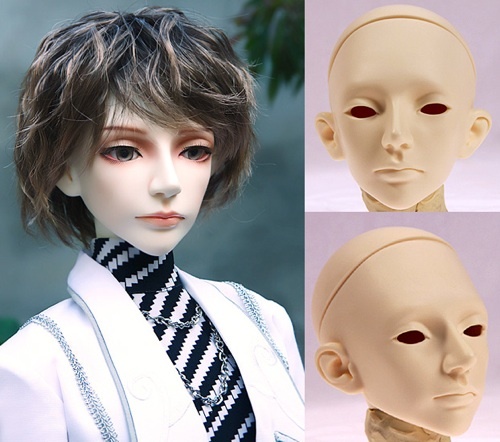 Angel of Dream (AOD) is offering free face-ups for dolls purchased. There is no specified end to the offer on the AOD site, but HappyHouse an AOD dealer, lists the offer ending December 31st. 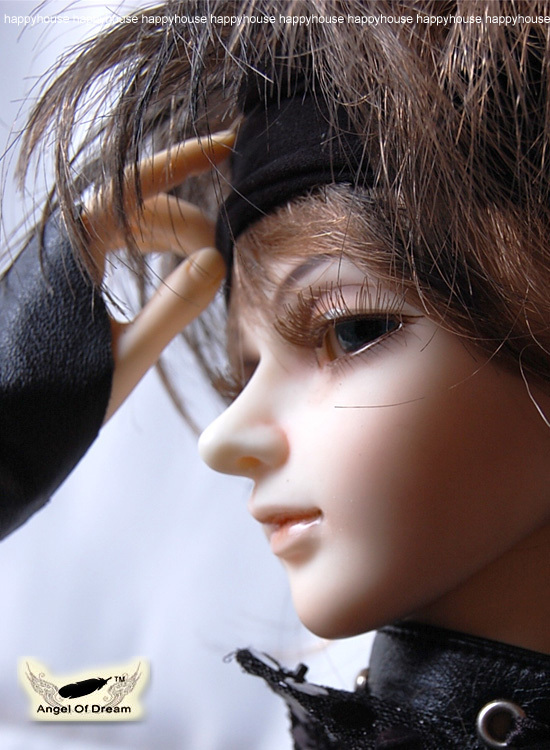 AOD has also posted a new doll couple. They are listed on the site under ‘collection’. They are similar to the couple featured at HappyHouse, Sam and Molly, but the new couple,Qi and Shi, have a girl with dreaming eyes while the boy has open eyes. Qi is 58 cm. Tall and Shi is 62 cm. tall. They are only to be sold as a couple and will be available until December 31st. 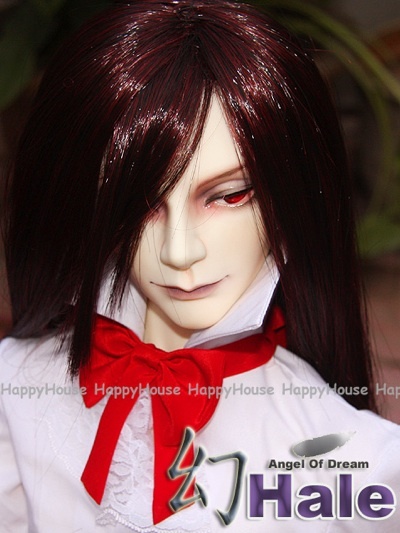 Angel of Dream (AOD) dolls have appeared on the Demon Garden/HappyHouse website. These dolls have not yet shown up on the AOD website. One doll is the last of the four 1/2(90 cm.) dolls that AOD planned to release. His name is Hale. The other two dolls are in the 60 cm. size range. They are a girl doll named Molly, and a dreaming-eyed male doll named Sam. The site is offering free shipping on all Angel of Dream dolls until the 31st of December. In addition, the free wig and shoes for 1/2 dolls will continue to be offered with the dolls until the end of the December. The 60 cm. AOD dolls come with optional free basic make-up. To celebrate their 2nd year in business, Angel of Dream (AOD) is offering free shipping on their dolls for orders placed between now and November 23rd. This offer is for full dolls only, not for parts and accessories. There will be a small gift included in each doll order. HappyHouse has now added a third 90 cm. AOD boy to their site for pre-order. He is named Primo. 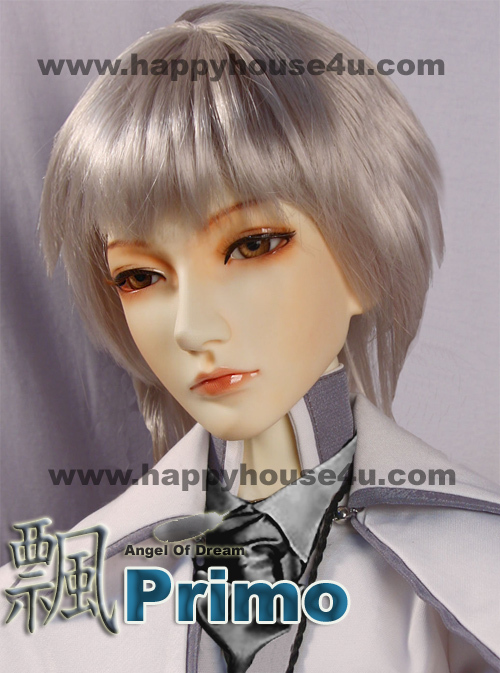 The company Angel of Dream (AOD) has not yet included the new doll, Primo, on the company site. AOD has posted a new announcement that they are also now taking orders for the new 1/2 size dolls. They will come with wigs, clothes, eyes, and shoes. More pictures are promised. 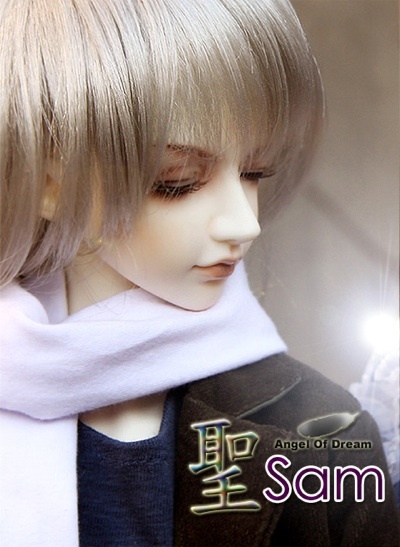 Angel of Dream has officially released their 2 new fullset dolls by a new doll artist. 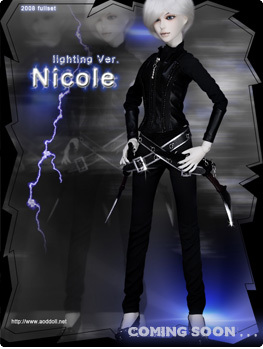 Lightening Version Nicole comes with random wig, eyes, and shoes, high heel and normal feet, Lightening outfit, and sword. Face-up and body blushing are optional. Nicole can be ordered in white, normal yellow, normal pink, and normal tan skin. There is an additional charge for tan skin. 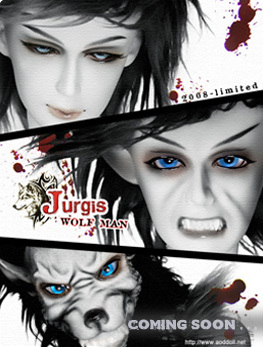 Jurgis Wolfman comes as a human doll with a random wig, random eyes and underwear. Optional choices include the J.S. head, wolf head, face-ups, body blushing, and outfit. Jurgis can be ordered in the same skin choices as Nicole. The dolls will be available for order from now until November 20. Angel of Dream will be releasing two 1/2 size (90 cm.) dolls. 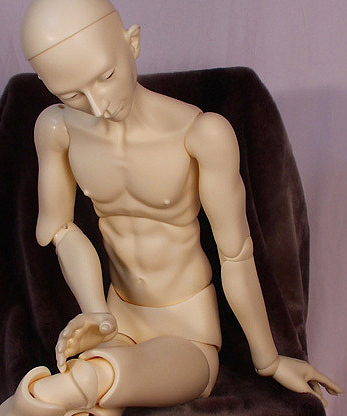 The two male dolls, Ni and Bo, will be available in white skin, yellow normal skin, and pink normal skin. No exact date has been issued for the release. The dolls can be seen on the HappyHouse website. AOD has announced that they are releasing two new dolls in the next few days. They are the work of a new sculptor and designer. 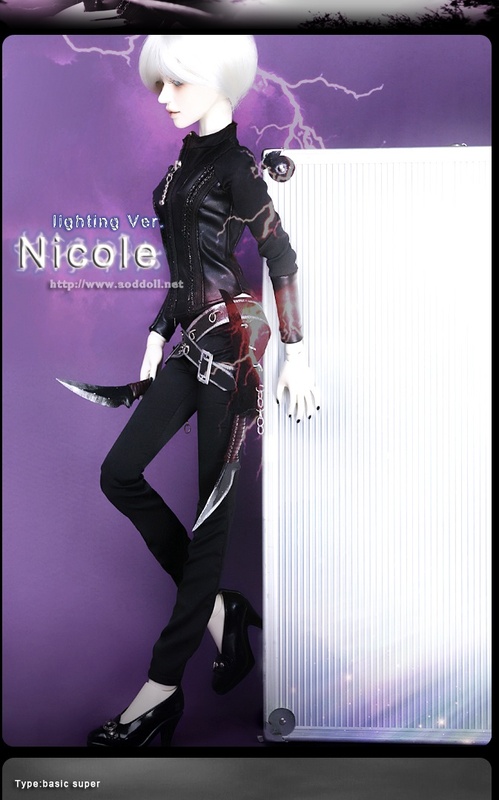 The dolls’ are called Jurgis-Wolfman, and Nicole-Lighting Version. Pictures were recently added to the front page but no further information is known. From now until the 30th of October, HappyHouse will ship Angel of Dream dolls to the US free. 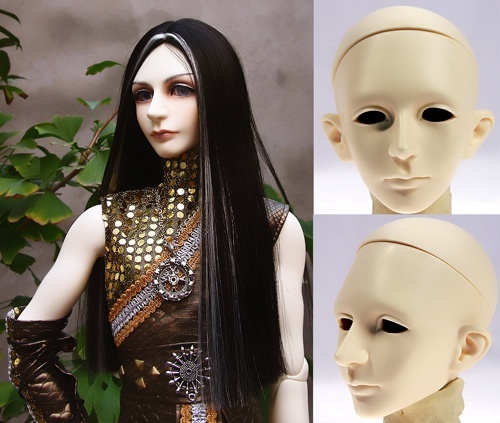 The dolls covered under the free shipping deal are complete dolls (head and body) in both the 1/3 (60 cm.aprox.) size and the 1/4 (43 cm. aprox) size. Angel of Dream ends their free head event on October 6th. Purchasers of any doll can also get a free head. The head will be the same as the ordered doll, but can be in another skin color.